It’s time for another of the Friday “Ask Scott” episodes where you get to hear Scott’s answers to the real-life questions of other Amazon sellers. And what’s even better than that is that YOU can ask your own specific questions for Scott to answer. You’ll be able to learn all kinds of great things about product listings, marketing funnels, sales issues, and much more. 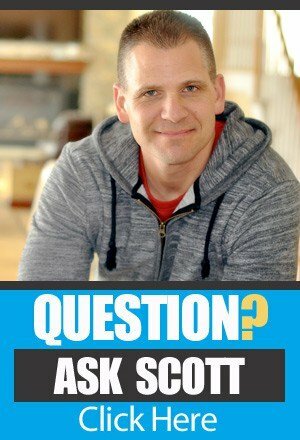 If you want to hear Scott’s answers and even learn how to ask your own questions you should make sure you listen to this “Ask Scott” episode. How much detail should you include in your product listing? Will other people copy it if you do? A listener asks today whether he should include the kinds of things that set his product apart when it comes to product materials, densities, etc. He has two different thoughts about it. #1 – it IS the type of product that those things really matter so he sees it as a possible way to show that his product is high quality. #2 – He’s concerned that others in the market may use his detailed descriptions to copy what he’s doing and bring more competition to his market. Scott’s got a great way of looking at this issue so be sure you listen to get this episode. Selling an electronic product? Do you need to be compliant with FCC regulations and such? One of the things Scott has often advised AGAINST is the sale of electronic products. His main reasons have been that there are too many products in the space and that the likelihood of product returns due to product defects is much higher. But there are other issues having to do with government regulations, etc. that you need to be concerned about. On this episode, Scott dives into that issue and the various things you want to keep in mind so you don’t get yourself into trouble. It’s an amazing amount of detail for a short response so be sure you listen, take notes, and take action! When you launch a second product and want to offer a discount to your list, how do you do it wisely? A caller to the show named April is about to launch her second product. AND, she’s been building an email list for her first product and is eager to send a discount to her list for the new product. Way to go April! 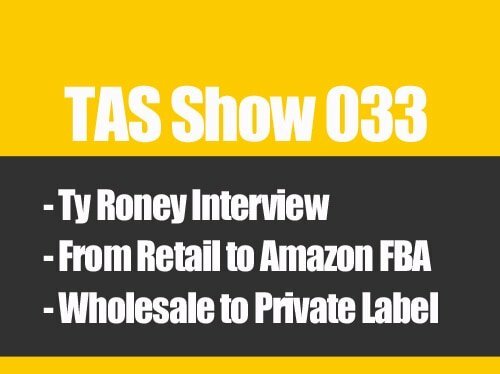 Her question on this episode has to do with the best way to provide a discount to the people on her list. Should she give a discount code that anyone can use? Should she create a single-use code and reply to each person who wants to use it? Or is there a better way? Scott’s got some great ideas about how to do this in a powerful, simple, and search-boosting way, so be sure you listen. When it comes to the time you have available, here’s a caution to help you budget it well. One of the things Scott has been learning (again) is that time is a very precious thing. Every minute that passes is a minute that you can never get back. Here we are approaching the holidays and most of us will be spending a lot of time with family. But we’re also eagerly building Amazon and eCommerce businesses. How do you effectively make sure that the time you’re spending with your family is time WELL SPENT with your family, with your mind engaged in the moments you have with them? You can hear why this is becoming more important to Scott and what he suggests you do to keep yourself on track when it comes to the wise use of your time, on this episode of The Amazing Seller. [0:03] Scott’s introduction to this Q&A episode of the podcast! [1:00] The importance of remembering that TIME is a precious thing. [5:17] The phrase of the week: Consume then do. [6:52] QUESTION ONE: How specific should my product details be in terms of materials and other parameters in light of potential copycat products? [15:22] QUESTION TWO: On electronic products is the FCC label required on the product someplace? [22:00] QUESTION THREE: I’m about to launch a second product and want to send a discount to my list for the second product. Can you advise me how to do this in the best way? www.TheAmazingSeller.com/ask – ask your own question! …it for the 90th time I love doing these and I am so grateful for all of you that submit your questions or they just listen to the podcast I just want to say again thank you so much for allowing me to do 90 of these Ask Scott sessions and hopefully all of you that have been listening have been getting value from these questions. The reason why I started these Ask Scott sessions it’s because I was answering these questions on a regular basis so why not share the answer to that question with thousands so this way here other people can benefit. We have to understand that. Every single minute that goes by we will never get that back again and I know some of you that are listening that have kids really understand this, especially if you’ve already been through a cycle of having a kid go from being your baby to now where they’re all grown up. [00:02:06] Scott: I’ve got two of those. I’ve got three kids but I’ve got two of them that I feel have already been through those stages. Now they’re going through other stages in life which I’m able to enjoy now as well because everything is a chapter but we are all getting older now, we are all experiencing new things in different parts of life but that time will never be back. It’ll never be back. This minute I’m recording this will never get back to me we’re already past the time. So we need to understand that and I’m not here to scare anyone but I want you to just be aware of that. When you do have time that you’re focusing on your business and you’re taken away from your family understand that. But then also when you’re with your family try to be present, try to be with them. It’s not easy. It is not easy but I guess the reason why I’m bringing this up too is because we’re getting around the holidays right now and you’re usually with your family and stuff and maybe you’re thinking about this business and I get it. I totally get that but try to be present with your family when you’re with your family. It’s really important that you do that because remember, business is business. Life is life but we have to prioritize and try to channel our thoughts and stuff and right now with the holidays I know myself personally I’m recording this this session here early so this way here I can have a week or two where I don’t have to be recording. [00:04:06] Scott: Just remember time is precious and you’re not going to get that time back so just prioritize it properly and just when with family enjoy the time with family and friends and all that good stuff. So let’s let’s get ready to rock ‘n roll. Before I do though let me remind you guys the show notes to this episode can be found at theamazingseller.com/298. Again that’s theamazingseller.com/298 I can’t believe I’m saying 298. We’re almost at 300 and that episode I think you guys are going to like as well. It’s a little bit different we are going to do something a little bit different so get ready for that but that will be airing soon. If you want to ask your own question and have it aired here on the podcast head over to theamazingseller.com/ask or you can just go to the show notes page which I just gave you and a link will be there so you can ask that question. If you do ask a question, do me a favor. Leave your first name, maybe where you’re tuning in from and then a brief question. That would be cool. Guys I’m excited, I am fired up because… Well a lot of different reasons we’re here. We’re at the end of the year things are moving along really well. Some of you are experiencing a fourth-quarter and you’re having some success some of you are just excited to get started. Everyone’s at a different stage and that’s cool. One thing I did want to mention before we jump in and I almost forgot and I have my little notes here in front of me. What is the word of the week or the phrase? Well here’s what I want you guys to understand, I just give you time and all that stuff and that was even intended to be like that focus thing so much so let’s just add that as a bonus, but right now I want you guys especially when you’re just getting started or even if you’re restructuring your business moving into 2017 because that’s always a planning time, we want to go ahead and plan for the new year, here it is. Are you ready? Okay here we go. Consume, then do. What’s that mean? [00:05:59] Scott: Well it’s pretty important. You guys are listening to this podcast and that’s awesome but I want you to take what you learn here or that nugget and I want you to act on that, take action like we talk about. I want you to consume it, that means learn it and then do it. Put it into action you know information that’s not put into action isn’t going to do you anything so we have to consume and then do. I think if we can continually do that we’re able to then start experiencing what the results will be from that action and again I’ve said it before that action may not be exactly what you thought it was going to be. It may even be a so-called failure, but it’s a lesson that you learned from doing it but you’re never know until you actually do it. So again you might write this one down and maybe post it on your computer on a post-it note, consume then do, #takeaction. All right let’s and let’s listen to the first question of today and I’ll give you my answer. Let’s go ahead and do this, what do you say? [00:07:00] Wassim: Hello Scott. My name is Wassim. I’ve been listening to your podcast since about a month and a half ago and it helped me arrive today to a State where I’m sourcing my first product, I’m currently contacting suppliers. My question today is about the details that I put in my listing. I happen to source a product which if you want to make it high quality then you have to use certain parameters that has to do with the material quality. For example densities, strength, water resistance and the other things. Now if I look at the market as a whole what my competitors are doing they all have in their description something that says something along the line that, “This is a very high quality product and it’s very strong and very durable,” something like that. But none of them say that this product is made of such and such material of such and such strength and its water resistance 1,000 whatever. They don’t get the details. Although famous companies out of Amazon that sell similar products they state in a very professional and very detailed way, they state all the values of these parameters, which I thought might be a good idea to add to my listings in Amazon. However my only concern is that if I do that, if I list my details parameters, it will be easier for my competitors to copy the product and I just was just wondering what do you think about that? What are your thoughts about it? I would love to hear your answer and thank you very much again for your podcast. It has been such a good teacher for me and I’m sure for many others. Hope to hear from you. [00:09:11] Scott: Hey Wassim thank you so much for the question and this is a good question and I’m excited to answer it. So this is my thoughts. These are my thoughts on this particular question and basically what you’re saying is like listen a lot of the big brands, the big players… The Sony’s, the bigger brands they are all putting in these details. You make it sound like it’s more professional right because they have these really like great descriptions of the benefits and the features but more of the features than the benefits maybe and that’s cool like that’s good. And your concern was well if I do that which I think I can do people are going to see that and they are going to think I’m the big brand or they’re going to be able to say, “Oh wow this product has all of these cool features,” but here’s the here’s the deal. I don’t know that all of those features are going to help you convert better. What I mean by that is, is your customer that’s looking at that is it driven by features or is it benefits or is a little of both? Is it you know a main brand that that selling them like what is it. I think every market is a little bit different. That doesn’t mean that you shouldn’t give some really good details about your product and have it well written and have those benefits really scream out. The benefits are more important than the features but if there’s a feature that needs to be highlighted because everyone wants to make sure that that product has that feature or those features in it, then it’s very important that you put it in there. You probably want to use the enhanced content feature and build out a little mini sales page that has graphics that that show the feature. I think it’s not like a one-size-fits-all, it’s going to depend on the market. If you have a market that’s really like technical and they’re looking at all the technical things, the specs and all that stuff, then yes. [00:11:11] Scott: But if you’re just talking about the average everyday user that’s just buying their stainless steel garlic press, they may not be concerned that it’s made with a certain you know tempered or… I don’t even know if that’s a thing. If there’s a certain type of steel that is made with a certain amount of pressure force that’s been tested in this certain laboratory, I don’t know if that’s important. I don’t think it is to the average user. I just want something that’s going to last. I want something that’s going to do the job. [00:13:08] Scott: Well that’s true in a sense but again if you have this specialty stuff and you’re not just grabbing it off the shelf, it’s going to be hard for them to have it manufactured unless they go through a lot of work. The other thing is if you have something like that you may not want to put all those fine details in there unless you know that your audience wants to hear it or your customer base wants to hear it or see it. Then you might not need to put it in there. But again, I probably wouldn’t be thinking along the lines of if this is something that I’m making better and it’s going to be a little harder to make then I would want to put it out there because I want people to know that I put a little more work into it and then I wouldn’t really worry about people ripping me off and if it’s that good then you probably want to patent it if you can or you want to get some type of protection on there. Again these are some things that we really can’t do unless we’re here sitting down in person for you to give me some feedback but hopefully this has given anyone listening that’s thinking themselves they need to give all of those all of those details, all of those features like really feature-rich. Those features don’t mean anything to me unless they’re talking about a problem or an issue that I was having with another product and then I start scanning down and I see that yours solves that problem. That’s me right, but if you’re an engineer or someone that’s really technical about a product and you’re looking at all of those different details then it’s probably going to be beneficial to put in there all of those features. For example if your ham radio person that likes to do ham radio you’re thinking a little bit differently about like schematics and all of this stuff. You’re going to be probably wanting to know the different frequencies and all of the different nuances that go into ham radioing. Again it’s just a different audience, different customer base you have to kind of decide it yourself. I don’t think that necessarily putting in that stuff is going to hurt you as far as someone coming in and ripping you off. That I don’t think but I think it can help you if it makes sense. I know Scott like a long-winded answer but there’s a couple of different ways to look at it and hopefully by me going through that, flushing that out you can see maybe it’s for your product, maybe it’s not for your product and there’s not like a one set way of doing this. Hopefully that helped. Good luck. Keep me posted and Iet’s go ahead and listen to the next question and I’ll give you my answer. [00:15:25] Brandon: Hi Scott my name is Brandon and I’m from the UK. I just want to say you have an excellent podcast, taught me so much new stuff and you’ve convinced me to take action which is what I’m trying to do now so I appreciate everything you’ve done. My question is I found a product that it’s an electronic. I know you said not to sell electronics but I feel like this is a good one for me and I’m curious as to whether you need to display the FCC label on the back, I know that’s for the US. In the EU in the UK it’s CE so do you need to show that on the product or anything like that? Hopefully you can answer my question. Thanks bye. [00:16:18] Scott: Hey Brandon thank you so much for the question all the way from the UK. It’s awesome and I love your accent. You guys have heard me say it before. I love those accents out there anyone has an accent other than mine. I feel sounds a smarter I just do which is just the way I think. Anyway awesome accent. Thank you so much for being a listener I’m so glad that you’ve gained some wisdom and even some motivation or encouragement to move forward in this business model so congrats on that. Now, let’s talk about this. I have said in the past that especially if you’re just starting yes electronics I would stay away from it personally. That’s me. That doesn’t mean that you have to. Anything that I ever say is my opinion. I’m not going to give you like this has to be this way because those are the rules. There is really no rules other than ones that Amazon make up that you can abide by, that’s up to you right but these are just my suggestions because with electronics you are dealing with other things like you have mentioned the FCC. There’s some things you need to be compliant with and then that could have a whole another host of problems or issues or things you need to deal with. Now for some people that’s a good thing, they are like, “Cool that means I’m going to have less competition,” okay then go that route. [00:18:11] Scott: Again that also means that there’s people that are saying like you know what that’s an opportunity then for me to actually go into a less competitive space because there isn’t as much competition because you know people don’t want to deal with that stuff and that’s the truth. So to answer your question I don’t know 100% like what you should do as far as having that on there. Like the common sense side of me says, you’re going to need it on there, you’re going to need to make sure that the company that you’re buying it from is compliant, you needn’t probably reach out to an attorney and make sure that you are covered as far as like is this something that I need to have certain labeling on, is there any other FCC stuff that I’m not aware of, do I need to then check with my manufacturer make sure that there’s a certain code that they are following? They have the right stamping, the right size of the stamping. I don’t know. There’s some things there that you’re probably going to need to figure out. Now some people would say well I’ll just ask the manufacture. I wouldn’t just do that because the manufacturer if especially with if it’s in China they are going to do things the way they think it needs to be done and it doesn’t mean it’s right. Some people said well I can go to China too and I can have a product made and if they’re making the product then I don’t have to worry about patents right? And the answer is no that’s wrong. They will make something over there and violate a patent and they don’t care because they are not going to get in trouble for it because you are the one selling, you are the one that’s basically putting it into the marketplace even though they are manufacturing it. You just gotta be careful with that stuff. So again to answer your question it would be to reach out to an attorney. I know Ted Limus is a good friend of myself and in the podcast. He’s helped a lot of the TASers out there. I’m sure if he knows the answer he can help you, if not I’m sure he can direct you. I’ll leave his link in the show notes. [00:20:02] Scott: So anyone wants to check out the show notes on this episode can do so and then you can maybe reach out to him and see if that’s someone that can help you as far as getting that information or maybe you have an attorney. Reach out to them. This also would come under the thought of well again is it more of a liability and if it is then you have to say, “Okay is everything in place in my business? Am I structured properly? Do I have the right insurance? Do I have the right business entity? Do I have an LLC? Do I have things protected in that aspect,” so this way here you don’t get into a jam if someone gets hurt with it and then they come back to try to sue you. There’s some other things that come into the mix because it’s an electronic piece. I know your initial question was, “Do I need to have this thing labeled with FCC?” The answer is probably yes but there’s more that goes into than just the label in my eyes. There’s probably some warnings that need to be put on it of some kind. Again I’m not a legal advisor, I don’t pretend to be. So don’t anyone take this as legal advice please go out and get some legal advice because this is nothing to play around with. Like I would be careful in that as far as like anything that I feel like is FCC regulated or if there is any type of code that needs to be up to date or any of that stuff you definitely want to make sure that you’re talking to the right people there. Hopefully this has helped you or anyone else that’s listening that’s thinking about going into not even just electronics but anything that you feel could be harmful to someone on the other end you want make sure that you go through the right procedures to make sure that you’re covered. You’re protected number one with insurance or your business entity or both and then also you’re compliant with the FCC regulations and all that stuff. All right, hopefully that answered your question. I know it was a little long winded there. Man I’m getting long winded today. I don’t really want to be but I just keep rambling. Hopefully it’s helpful. Let’s go ahead and listen to one more question and I’ll give you my answer. [00:22:08] April: Hi Scott. This is April from Ohio. I have a quick question for you. I’m looking to launch a second product and as you taught us I’ve been collecting emails from my first product. So when I launch this second product I want to send an email out to the list that I’ve created and offer them like 25% off the new product. I’m just wondering how you do this. Can you provide a coupon code right in that email that would not be at risk to being passed around or do you ask the people on that list if they are interested to respond back to your email and then you send them a separate email with the code that’s just for that one person? Just wondering the logistics of how you send out codes to your email list that you’ve been collecting. I feel like I should know this but I don’t. If you could answer it that would be of great help and again thanks for all you do. [00:23:17] Scott: Hey April. Thank you so much for the question and I know that you are a repeat question asker or a person that asked a question. You’ve been on the show before I think and you’re doing really well and you launched your one product, it’s doing really well and now you’re launching product two and you want to know about this whole email list building and how can you then have that list help you when you launch your product which I think is smart. That’s something we’ve been talking about, that’s something that we’re currently doing internally as well. It’s definitely a great strategy. Here’s the deal. You can do it a few different ways. You can, if you’re doing a 25% off code, again how many do you want to sell? That’s the thing. What we need to do is we need to ask ourselves, we have this email list, let’s say we have… Let’s make it easy. Let’s say we have 1000 email addresses of people that are in our market. We’ve went through and we’ve built this emails list whether it’s through maybe an Instagram post that we brought them over to our contest page to win a certain item or maybe we did it for our last product. I think you said this was from your last product and you were able to get people to join your email list through that. I think that’s what you said. We know that they are definitely interested in this type of product or a similar product. Let’s say you have a thousand emails. Now, not all 1000 would even buy it at a discount. We know that, we understand that. But how many do we want to promote with or use as promotions in the beginning? That’s what we need to figure out. So let’s just say that it’s we would like to basically have 25 sold additionally to whatever else we could sell through pay per click or anything else. We want to sell 25. That means that you’re either going to create a code that has a max limit on it which there’s been a little bit of cockiness here within Amazon about this. Depending on when this airs we may have a video to help through this if not there will be one coming here soon. Check out the show notes page again for this one. [00:25:22] Scott: This is episode 298 so again check out the show notes page if that video is available I will post in the show notes but just understand that a max limit means that you’re going to allow how many that person can use that code towards because they took away the dollar amount at least as of the time of this recording they have but there is percentage off you can give but also you can limit it to a max quantity now. But the point is this, a really easy way of doing this… There’s two easy ways. The easy way of doing this is to say, “Hey I’m going to let 25 people have this for a discount. Email me if you’re interested,” and then have one time use codes and you just send them each, a one-time use code. Yes, that means that’s going to be 20 or 25 emails that you’re going to personally do, you can do it yourself, you can hire a VA but yes you’re going to want to manually do those and give them a one-time use or you’re going to want to make sure that you have the max order set up. This way here when you give out that code it doesn’t land in someone’s hand that can just buy a whole bunch. So you gotta be careful with that but it’s 25% discount. Maybe, just maybe you give out that code, maybe someone does buy a whole bunch, maybe you didn’t do the max order which you should but if you didn’t and it got leaked out or something and you’re still selling a bunch at 25% off maybe that’s not the end of the world, maybe that’s a good thing. It’s the people that are trying to give it away for over 50% off and then that code thing isn’t implemented then that’s a problem because now you’re giving away product and your inventory gets wiped out. You gotta be careful with that. That’s not really want we’re about. What we’re talking about is how should you deliver that? You could do it that way or you send it out to them. You limit the code to 25% and you just basically use that code. You can also like I said, do it manually. “Hey, we’re going to let 25 people get this for this discount, email us if you’re interested.” They email you back, you forward them one of those codes. The other way to do it is to do a flash sale. [00:27:23] Scott: You do a flash sale for a day or two. Then you lower your price on Amazon if it’s a brand new product, now here’s the deal. Most people aren’t going to see it because it’s not ranking yet. Only people that might see it are the people on your list so you could just drop your price by 20%, 25%. Say hey, “I’m going to do a flash sale.” Then you don’t need a code. You just drive people over there. Now if you’re going to drive people over there and you have a list of 1,000 people, I would recommend not sending all 1,000 people over to that flash sale. I would say maybe 150/250 people. Then this way here if you can get 20% of them that’s going to be your 20 sales. That’s another way you can do it. So there’s a lot of different ways that you can do it and I don’t think there’s a right or a wrong. I just think that depending on how much you’re going to give away as a discount, if you want to manually do the discounts through them, contacting you back, again those people are hyper targeted because they are responsive. They are actually emailing you back and then it’s like a back and forth. Those people you want to probably put on a separate email list and say that’s my hyper focus. Those are like super, super focused group. Really responsive and you know if you send the something they are going to get back to you like really, really fast. They are really aggressive and that’s great. Now some of you that are tuning in and maybe you haven’t been listening to the podcast recently or maybe you’re brand new we talked a lot about this in recent past episodes about building your list. We’ll be doing more about that as well but you can always go back and listen to some of those more recent episodes. I’ll try to put some of those in the show notes as well so you can go over there and listen in on those strategies.l But moving forward in 2017 building your own email list, knowing about influencers in your marketplace so this way here you can build your own email list, you can reach that audience so this way here you can do that launc this way, that’s going to be really, really powerful and it’s also going to be another thing, another obstacle for people to do. 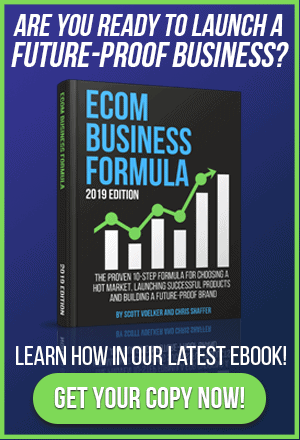 [00:29:27] Scott: People talk a lot about their competition, this is a way that you can dominate your marketplace if you build your email list in your market so this way here you can then push product whenever you want to get the little bump or boost in sales. Then from there help you rank. Also if you wanted to you could direct people directly to your ecommerce store. Then not even go through Amazon or maybe Amazon fulfills it but you don’t sell it necessarily through the listing so you don’t pay those fees, you just pay the pick and pack fee and the FBA fee, all that stuff. There’s things that we can do moving forward in 2017, that’s going to be the things that we’re going to be talking about and I’ll be showing you and we’ll probably have a few workshops doing this as well. That’s pretty much all I got for you guys today. Hopefully this has been helpful. I am super excited because we’re almost in 2017. A lot of cool things happening here in the Amazon space and business and things that I’m working in and on and the podcast, everything. I am just super fired up. The holidays are here. I’m going to have a lot of fun with my family being able to just chill out and just relax and again going back to what I talked about in the beginning of this episode just really spending time, really focusing on the present and what you can do in that present moment. Meaning if you’re in that moment and it’s all product research, do product research. Like just dig in and just focus on that. If you’re spending time with family around the families or just at a birthday or just on a Saturday night, spend time, be present. Really important that we understand that time is really, really precious and we need to realize that because if not because you know it, ten years gone by and you might say, “Man, I still haven’t launched a product.” That could be happening. I have so many people that say, “Scott, I’m still in the research phase because I’ve not pulled the trigger yet. I’m just too afraid,” and that’s normal but you have to figure out a way to get yourself at least started and that could be even doing some retail arbitrage. That could be doing some online arbitrage. That could be just doing some thrifting and selling it on eBay. [00:31:34] Scott: Whatever it is, you have to get yourself in the action taking, not just in the consuming process like we talked about in the beginning too. We don’t just want to consume, we want to do. All right guys, have an awesome amazing holiday season. Be safe, please be safe. Enjoy family friends, the people that you’re spending time with, have fun, make memories. That’s what it’s about too. Like make memories, enjoy the time together and be safe and guys I do need to remind you though that I am going to be here for you now and in the future and I believe in you and I’m rooting for you but you have to, you have to… Come on say it with me, say it loud, say it proud, “Take action.” Have an awesome, amazing day, holiday, any time of the year it is, have a great day, have a great night and I’ll see you guys right back here on the next episode.